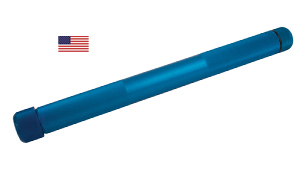 The Long Handle measures 17" and gives more gripping length for larger turnings. It features a 5/8" collet to hold the tool for the tool. Other size collets can be used to hold other sizes of tools. This handle can be filled with ballast to damp vibration.